After four decades of research in corn, cotton, and soybeans, Buehring has figured out a thing or two about conservation tillage. And his research is helping north Mississippi farmers get seeds into the ground sooner with fewer equipment passes. 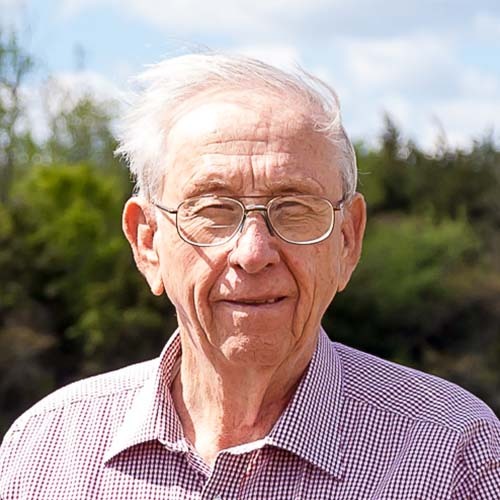 A native of Texas, Buehring was introduced to conservation tillage in the early 1970s, when he began his career as an agronomist at the Northeast Mississippi Branch Experiment Station in Verona, Mississippi. He had heard of the practice but no one was applying it in Mississippi. His first project was in corn silage production to feed the MAFES dairy herd located on the station. His primary focus was to look at ways to reduce the number of equipment passes across the field required to plant row crops. Buehring remembers well that first field in 1976. He knew the practice would save producers money with fewer passes across the field. He also knew that the practice would help protect the highly erodible soils in north Mississippi. What he didn’t know at the time was how the practice would protect soil health and become adopted throughout the region. Over the years, Buehring has experimented with several crops and rotations in one-pass tillage or no-till operations on highly erodible and bottomland soils, all in a non-irrigated environment. Since corn is more sensitive to surface drainage than soybeans, the longevity of the raised bed height for no tillage on flat ground is a major concern. His most recent work includes a 10-year tillage raised bed system compared to no-till without raised beds with a corn-soybean rotation on a bottomland silty clay soil. “Our goal has always been to get it down to one pass,” Buehring said. Thus far the study has shown a positive yield response to raised beds 70 percent of the time in corn and 40 percent of the time in soybeans. 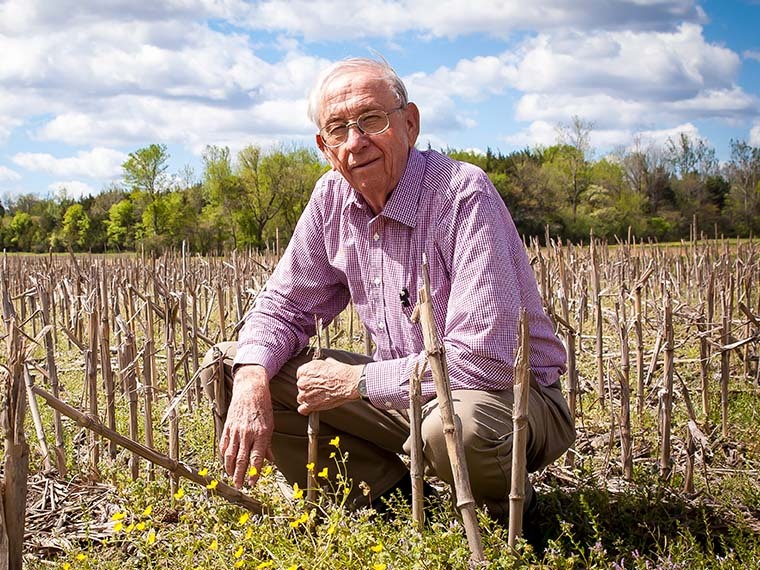 Buehring noted that no-till production is possible on old beds as long as the spring bed heights are about four inches or greater. Beds may need to be reshaped every three or four years on clay soils and every other year on silt loam soils. The economics of the operation are also promising. “The in-row-subsoiler-bed-roller (TerraTill®), one pass implement, applied every other year, yielded better gross returns above tillage costs in corn and soybean compared to several other tillage methods including continuous no-till, bed-roller applied annually or every three or five years, and TerraTill applied every year or every three to four years,” Buehring said. On sloped land, no-till is the best option because of the highly-erodible soils. Buehring’s research has demonstrated that the corn/soybean rotation is a good one for these soil types. In the early years, Buehring modified many of the implements for his conservation tillage research program. The practice was new and equipment manufacturers hadn’t developed tools for one-till or no-till operations. In the early 90s, Buehring was invited to speak to the Equipment Manufacturers Institute about future tillage equipment needs. Most producers following the conservation tillage program burn-down with a herbicide in the spring prior to planting and then plant with a no-till planter. Some of the producers in the area are burning down in the spring and then running a one pass tillage operation in front of the planter, which has worked well for soybean and corn. As for soil health, new analysis reveals that conservation tillage maintains higher soil biodiversity than other tillage systems. 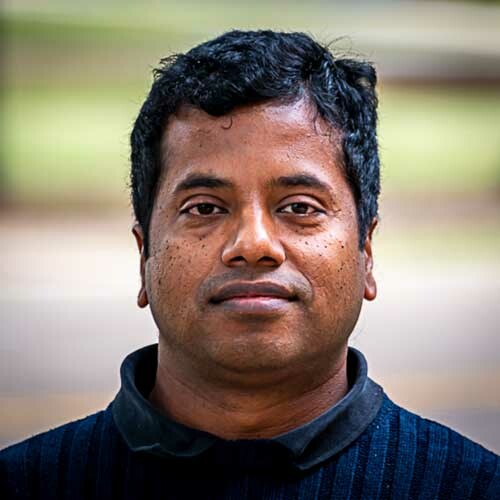 Dr. Shankar Shanmugam, a post-doctoral research associate in the Department of Plant and Soil Sciences, performed DNA analysis on the soil, a technique not available when Buehring first began the research. 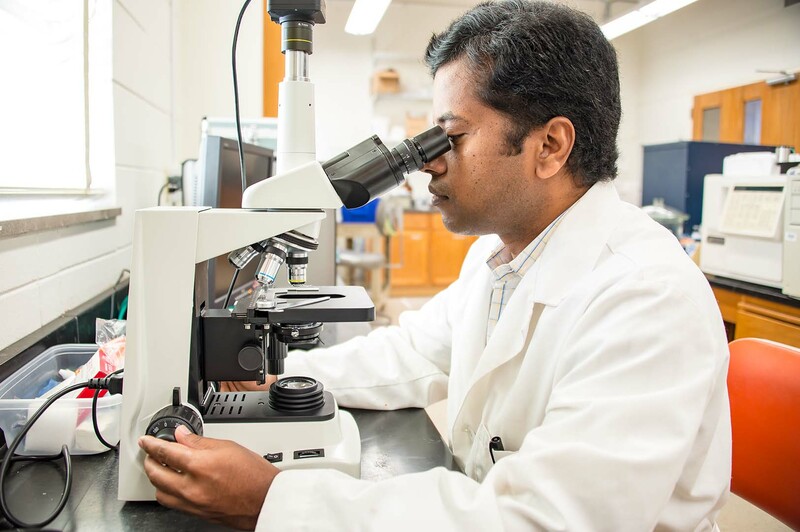 Shanmugam conducts research with Dr. William Kingery in the department’s Soil Microbiology Lab. The process began with soil samples from soybean plots planted in corn residues from four different tillage practices. Conservation tillage consisted of no-till and an in-row-subsoiler-bed-roller, one-pass implement (TerraTill). Conventional tillage systems included bed-roller and disk plus TerraTill. Shanmugam extracted the microbial DNA from the soil and then sequenced the DNA. Once sequenced, the DNA was compared to an existing database to identify bacteria in the soil. About 100,000 sequences were obtained from each soil sample. After filtering, 20,000 to 25,000 bacteria were positively identified at the genus level. Shanmugam looked at physical, chemical, and biological changes in the soil. His study found that there were no significant changes in the physical and chemical properties of the soil; however, the biological changes were significant. Shanmugam went on to explain the greater diversity in the soil helps to conserve carbon throughout the growing season. Clearly, conservation tillage creates stable soil environments which favor diverse microbial communities and slower nutrient turnover, Shanmugam added. In North Mississippi, conservation tillage saves producers fuel and labor costs, allowing them to plant earlier and improve yield potential while also diminishing soil erosion and contributing to soil health. Passion At Work: My focus is to research/evaluate methods (conservation tillage, variety/hybrid selection, seed treatments, row spacings, seeding rates, etc.) for profitable sustainability in an environmentally-friendly manner. Passion At Work: I am passionate about understanding how belowground microbial community dynamics affect aboveground plant communities and how this interaction affects soil health. Our work strives to provide growers with tools to maintain soil health for sustainable agricultural productivity.